Due to circumstances beyond the scope of planning, StarkLight Press has had to postpone its fifth short story contest. Usually, our next contest rolls out shortly after our current volume hits the shelves; however, this time, we will have to wait and begin accepting submissions after November 11, 2015. For those of you that have submitted already in advance of the announcement, please re-submit your entries when we make our official announcement. Until then, enjoy our three existing volumes! In light of the recent contractual “flexibility” displayed by DeAndre Jordan of the L.A. Clippers, I feel it an appropriate time to say a word about the plight of the publisher in this regard. 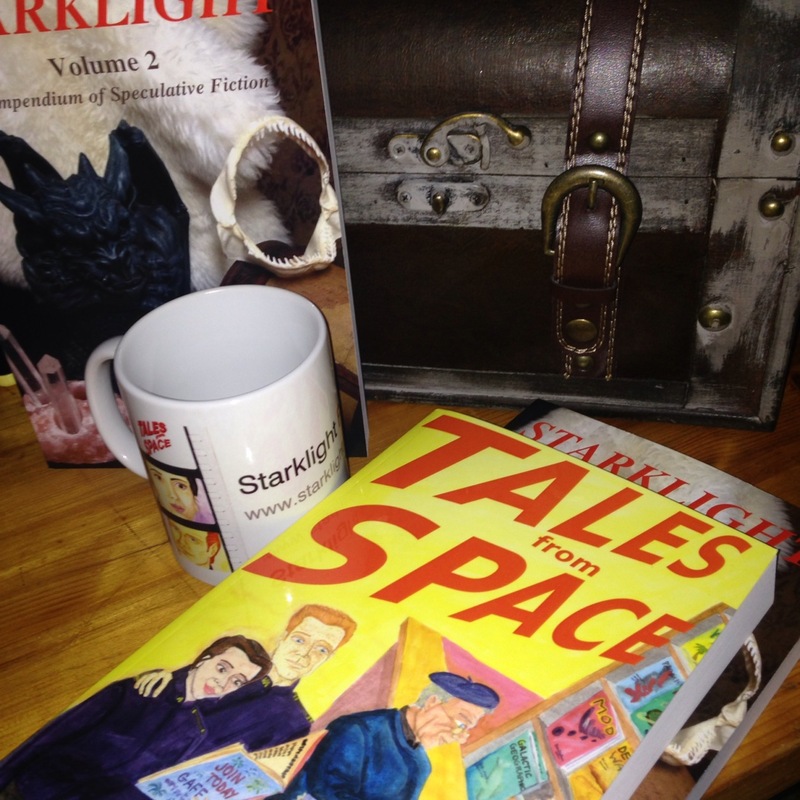 StarkLight Press was founded on the ideal of Collaborative media- multiple authors writing respectfully about a given universe, honoring its creative intricacies and its principles. 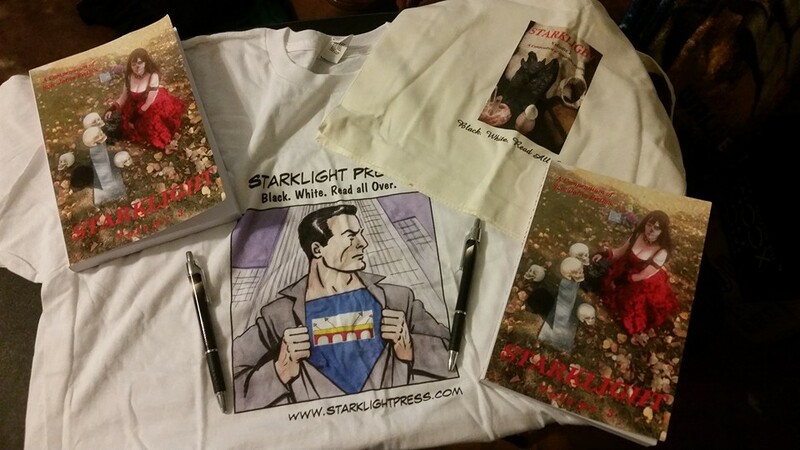 We have therefore given very free rein to our authors, especially in our StarkLight Anthologies. We welcome authors with diverse and original worldscapes to submit works to us so that their unique worlds may have a first audience in print publication. The great majority of our contributors have been exemplary with regard to our contracts. Helpful, ready to share interviews and video interviews, happy to share links to their sites, associated media and graphics, etc. We are happy to promote these on starklightpress.com in the hopes that creativity will breed creativity, and we may all enjoy more great stories from more authors as a result. It is therefore frustrating to find an author who fails to live up to this ideal, especially once a formal contract has been signed and not insubstantial funds put to promotional materials, not just of anthologies, but of their own worlds as well. The idea of reneging on contracts, either verbal ones like Jordan made last Friday, or heaven forbid, on written, signed and sealed ones, is an abhorrent one to the world of business. It is also a source of great shame, as it leaves all associated parties in a tangled mess of delay, extra expense and red tape. It is for reasons such as this that StarkLight 3 has been delayed in print version. 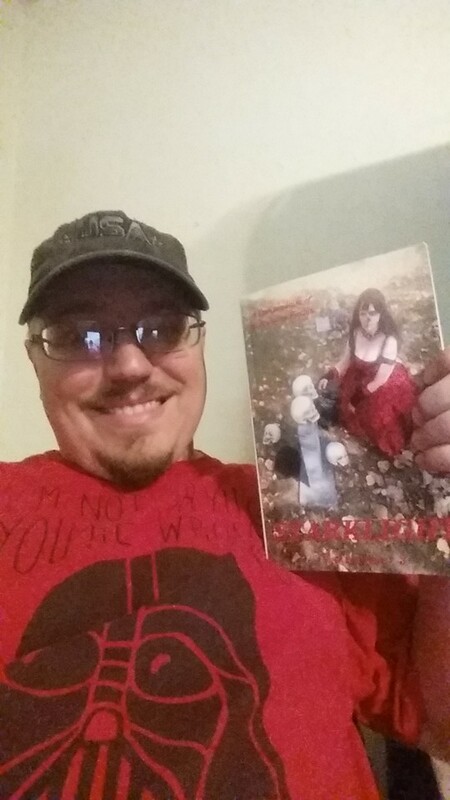 I would like to express my sincerest apologies to not just the plucky contributors who have been waiting patiently so that friends, family and fans may buy copies, but also to the many fans of StarkLight Press Anthologies. The issues have been handled and forwarded to appropriate channels, and the print version of our third anthology will be out soon. 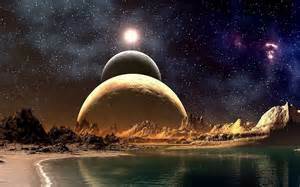 I am also pleased to announce that, in spite of one bad experience, StarkLight Press is still proud to provide a supportive and welcoming platform to authors of fantasy and science fiction worldscapes- no lengthy contracts, no strings attached, not even after this recent and first imbroglio for our organization. We still offer a springboard for new authors and undiscovered creators to increase their exposure and share their worlds, and we always will. We thank our many authors who have made it so easy for us to shake off a DeAndre Jordan of an affair, and we thank all our fans for their patience. 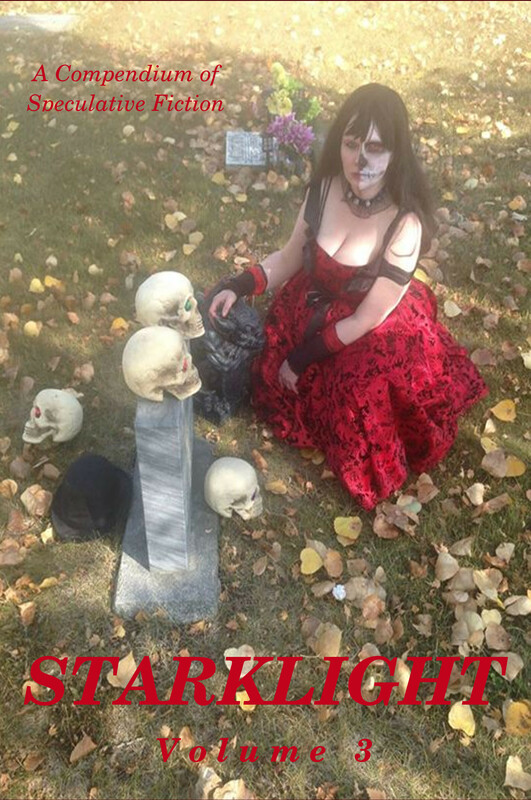 Tune in here later this week for the release date for StarkLight 3 in print, and for StarkLight 4’s release in ebook. July is loaded with release dates, in fact, including the release of the first Galactic Armed Forces adventure, An Incident in El Noor, and the complete second novel from Virginia Carraway Stark, Carnival Fun. writing retreat guru. 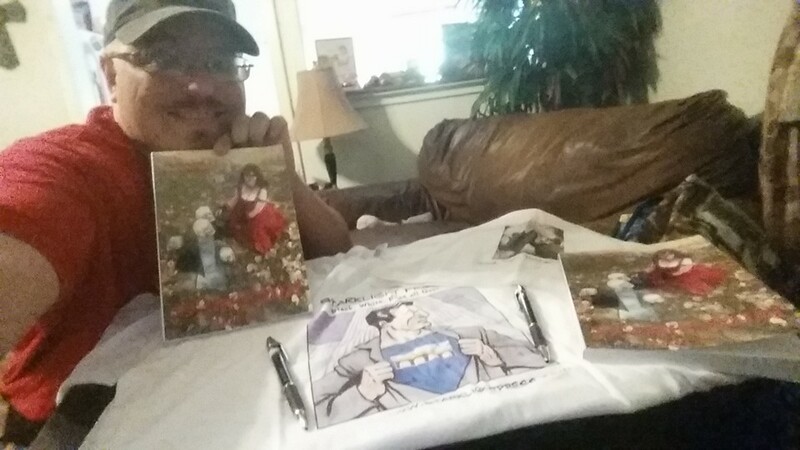 Many thanks to Randy for his thoughtful, high-energy and excellently penned words! “Katrina, she is death.” So begins the third compendium of quirky short fiction from Starklight Press. Like its predecessors, this issue fully achieves its mission of providing tales that are pertinent, timely and, above all, imaginative. The four words that begin the first of eleven amazing stand-alone stories are indicative of what you, the reader, will find– striking fiction that will wet the pallet, expand the mind, and bring a smile to your lips. One of the pleasures of such a collection over say, a novel, is that you have little idea of what you will find until you have devoured the book. There is no back cover blurb enlightening you as to what to expect– setting, character, theme, and plot. A collection such as STARKLIGHT offers, instead, a treasure chest of surprises; eleven jewels to pick up and examine, each gem offering its own unique color, sparkle, and appeal. What the stories contained within these pages do have in common, however, is that they provoke thought and will take your imagination to lands and times and feelings you have never seen before. Where the assembled stories differ is the second pleasure of such a collection. After discovering who Katrina is, why she is death, and why that is important, not only to the characters in the story, but to you the reader, there are still ten additional tales to enjoy, each astonishing in its own way, offering up new and unique experiences. Experiences unexpected, yet always managing to push one or more emotion buttons and resonate with realities in your life that makes each reading experience an intimate adventure between reader and author. 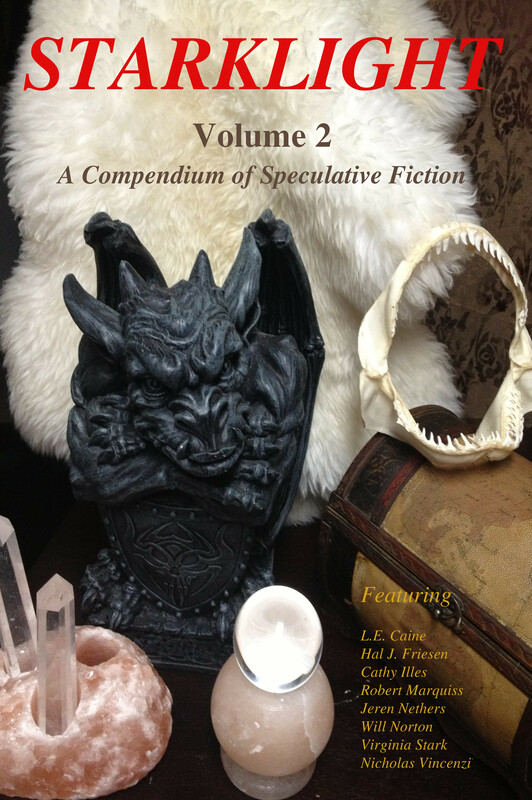 If that is not enough, a third pleasure is that you not only have eleven unique tales to enjoy, but tales from nine exceptional authors, each of whom have their own style and voice for story telling. Let us consider the opening line of our second story, What Has Kenneth Done! by J.M. Duell. “Let’s get a hold’a this fellow about the pamphlets again Fitz, there’s too many mistakes on ‘er.” Duell’s writing style could not be more different from Virginia Carraway Stark’s as enjoyed in Katrina, yet Duell’s story will carry you along just as easily. And what Kenneth did is only one surprise in the story. It is said that variety is the spice of life, and this saying is no truer than in a compendium of short fiction. The selection of tales that fill these pages by authors no less distinguished than Virginia Carraway Stark, J.M. Duell, Veronica Robbins, Tony Stark, Roxann Alecia Harvey, John J. Higgins, G.W. Renshaw, Van Fleming, and Robert Marquiss, are stories you will wish to savour and share with your friends. So sit back, put up your feet, and prepare yourself to spend the next little while seeing the world in a different light. STARKLIGHT. 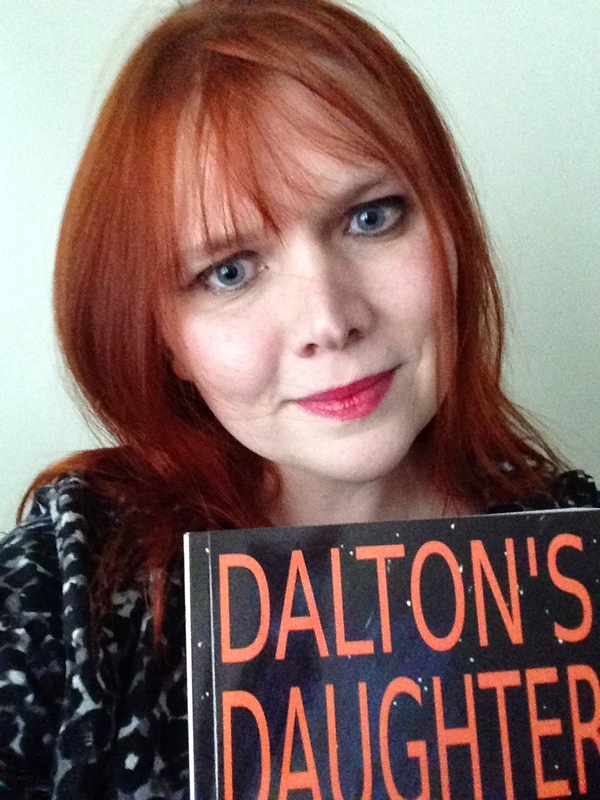 In our next StarkLight Press Interview, we discuss Roxann Harvey’s winning entry in StarkLight’s Third Short Story Contest. Roxann Harvey is the Business Administrator for her husbands company, Rocky’s Tours Jamaica. She is a practical Nurse by profession and a self-published Author – very enthusiastic, loving and fun. She is currently pursuing her Bachelor’s Degree in business Administration.The current Novel that she is working on is “Love and Money Worries”. It is about the life of Catherine Barrows , a very young and beautiful young lady from a small village in the lovely Caribbean Island of Jamaica, her life was full of struggles. The first thing I remembered writing was a poem entitled Life a narrow path. I entered this poem on the previous poetry.com and it was a winner. I wrote that poem when I was only 10 years old and I carried it with me into adulthood I will never lose that poem. I currently have more than one version of this poem. My main inspiration to write started at the age of eight years old I stumbled up on a poetry book written by Robert Frost on my grandmother’s book shelf, I would read a page from that book every day. The poems hit home, at that age they were like a story to me and I said to my self I would like to write like this one day. So at the age of 10 years I wrote my first poem , never stopped writing and reading. At the age of twelve I was still reading Robert Frost book it had many pages and was very thick, I believe I read it over and over, from just reading a poetry book by a very renown author and writer without even knowing at that time, it spiraled me into a a poetry drunkard. A writerholic, even if I am not writing a poem I would find something to write, I just love to write. My story for StarkLight Press is entitled Parents were Cousins, which is a flash fiction, this story is about a young girl by the name of Catherine who went to spend some time with her uncle’s family, she fell in love with her cousin Chris, she also got pregnant by him. She was betrayed, locked in an attic and later on was sent to the asylum. She was locked away to protect the family name because it was wrong for women to be in relationships with their family members. Chris married a wealthy doctor who later on in the story helped Catherine to get out of the asylum. I am apart of a writing group hosted by Virginia Stark, she gave us a writing Challenge to write a flash fiction story off a list that had many different reasons why people were committed to an insane Asylum back in 1864 to1869. I liked the one that said parents were cousins, it hit me right there in the head, so I submitted my first story to the group it was liked by my fellow poets, and I was encouraged to expand on it. Based on the fact that this was the first story I had ever written I believed that I should really expand on it. 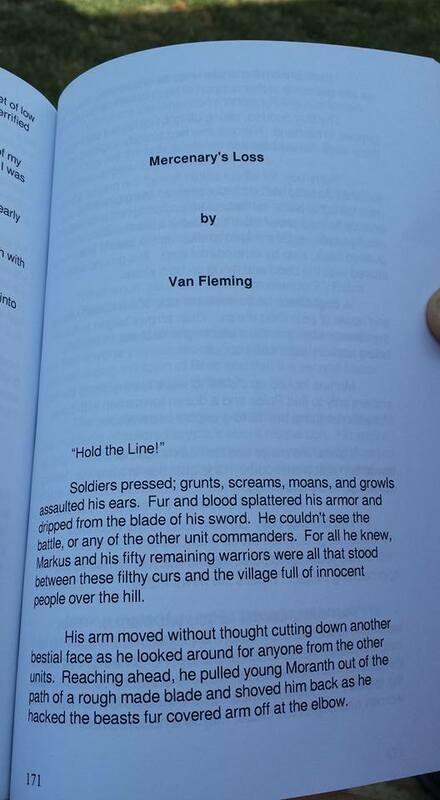 When Starklight press posted that they were accepting Short Stories and It could be a flash fiction, I said yes! this is my opportunity to make this story come alive. It reminds me of Flower’s in the attic by V.C Andrews a 1979 novel. I really love that story, Therefore Parents were Cousins is my version of Flowers in the attic. It is a reincarnation of the images that the story flowers in the attic has left in my mind, expressed my way. My advise to aspiring authors is to follow your dream, write as much as you can, try to find positive persons to be around who will give you sound advise and push you in the right direction. Get on the internet find writing groups to join. Learn how to self publish yourself. Never give up and never give in to pressure, obstacles and hurdles will come your way, but don’t you faint, continue to press forward because you will reap the reward at the end of the struggle, my motto is “Hard work brings true joy” I am very grateful to prove this to be true. If you work hard when you reap the reward of your labor you will be very happy. My other hobbies are listening to music, helping others, Surfing the internet, socializing, relaxing and enjoying nature. My hobbies infiltrate my writing in a very positive way, I am able to write the things I see, I write about people, I am able to put life’s experiences into words, its putting pen to paper. its living each day as a day with new ideas and new words. My hobbies are like one with my writing, I always have pen and paper close by so I can jot down stuff to write about later. If I am driving and I see a sign I will either write the words on it or take its picture, I always have my phone on me and I use it like a camera, I shot any thing and then put it together later to formulate a poem, a short story, quotes of inspiration and new phrases for my miniature book of constant self encouragement. My past has influenced my writing greatly it is the driving force behind my passion for writing, I grew up in a Christian home. I have seen good days and bad days so I am able to relate to both circumstance in life. Most of my writings are influenced by my christian belief that there is a creator who made all things and it is through him that we live and breathe, that there is hope and no matter our status in life or the situations that we face there is hope.. My poems are encouraging and inspiring to keep going no matter what. over time I have been learning to come out of my comfort zone and launch out into a variety of genre’s, I explore far beyond my comfort zone and this feels great. I am very optimistic so I am excited each time I try something new. I am always searching for more. a. To implore anyone that is reading my interview to stay the course, weather the storm don’t give up and follow your hearts desire to write, because words are powerful and if you write encouraging words you will bless a heart, save a life, encourage someone, you will be an inspiration. Set your goals and execute them. No matter where you are from once you have ambition you can be among the greats. b. A big thank you to my husband Roxroy Lawrence for his tolerance and continued support of me in my writing endeavors also my children for being my cheer leaders. c. Wow! I must say thank you very very much Anthony Stark and Virginia Stark for making this short story writing eligible for me,you are awesome. You are doing a great big wonderful job and I wish you all the very best in your writing and publishing business, I can truly see that you love what you do with a passion, you go about it with a lot of enthusiasm and professionalism. This is brilliant as you have all the mechanisms for growth, development and success.